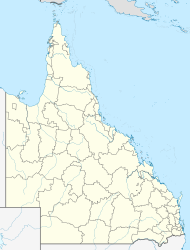 Tanawha is a suburb of the Sunshine Coast, Queensland, Australia, and is part of the Buderim urban centre. It is home of the Tanawha Tourist Drive, which contains the Bellingham Maze. This road once carried the Bruce Highway until 16 November 1989 when the Tanawha Deviation opened to traffic. The Maroochy Regional Bushland Botanic Garden are located in Tanawha, showcasing plants that are native to the Sunshine Coast region. ^ Australian Bureau of Statistics (25 October 2007). "Tanawha (Maroochy Shire) (State Suburb)". 2006 Census QuickStats. Retrieved 11 June 2011. This page was last edited on 16 January 2019, at 23:27 (UTC).